Madeline Herrera is our administrative manager specializing in working with our high tech, clean tech and bio tech clients. 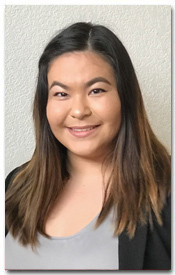 A recent graduate from San Jose State University with a degree in biology she is responsible for all back-end operations including: data management, client information security/confidentiality, auditing training records, verifying payment information, and creating an audit checklist. Madeline brings a can-do attitude, accountability, and most importantly integrity. No tasks are too big or too small for Madeline; she is an excellent team player who is always willing to work long hours to meet deadlines. Her ability to prioritize projects and her time management were only a few of the several qualities that she possessed. She is savvy, resourceful, and a great problem solver with an eye for process improvement and a passion for error reduction processes. “Phillip and I worked together on an ETP project at Boston Scientific a few years ago on a very successful ETP contract.